What says love better than the color of red? 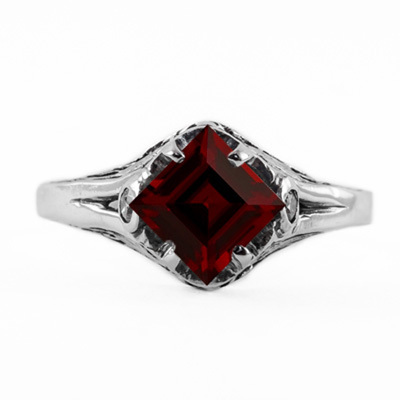 A handcrafted ruby red garnet art deco ring from Apples of Gold does. 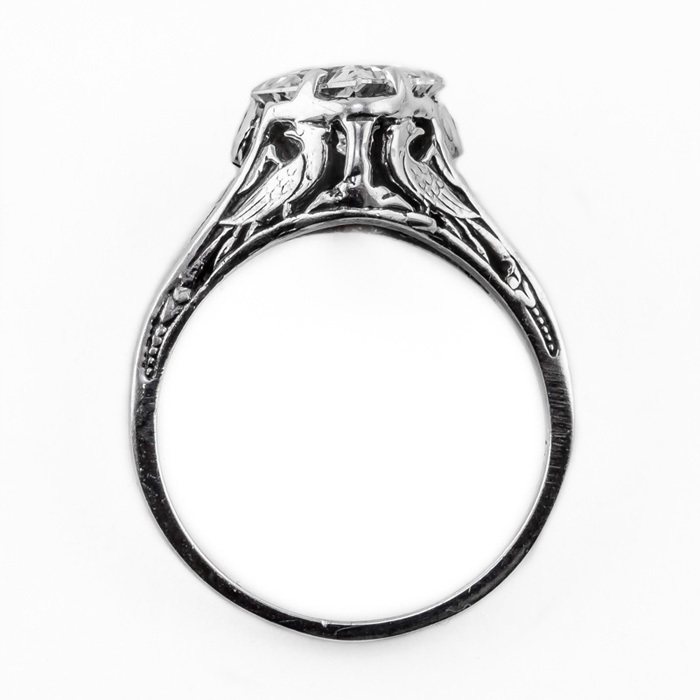 Using the finest quality of 14K white gold, our creative and contemporary jewelry designers created a perfect example of value. Measuring 6mm x 6mm, this princess cut red garnet ring will be the perfect accessory to any outfit and you will never want to take it off. The garnet gem is round in shape and is carefully set in the center of the design. 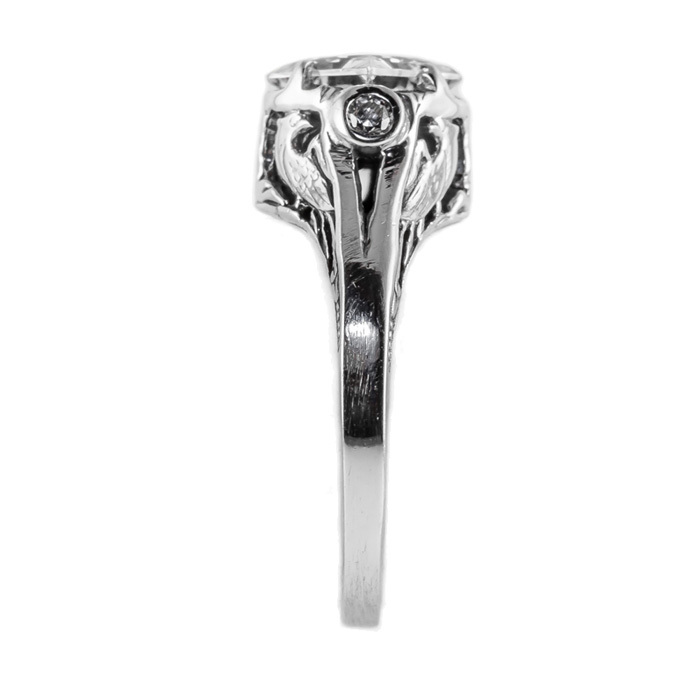 The beautiful gemstone is accented on each size by a single sparkling 0.03 carat diamond. The sizing chart has been provided as a reference tool and our friendly customer service agents are happy to answer any questions. We guarantee our 14K White Gold Princess Cut Garnet Art Deco Style Ring to be high quality, authentic jewelry, as described above.